Combined Guaranteed Asset Protection (GAP) is designed to provide financial protection in the event of an accident or loss regardless of how you originally funded your purchase. 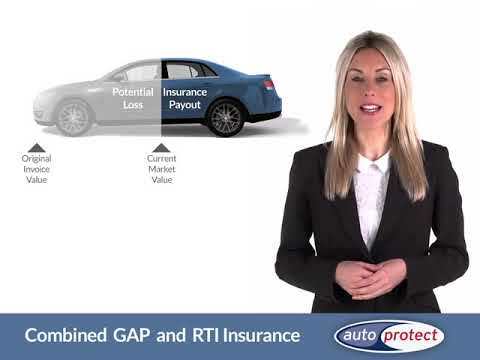 Combined GAP will pay out the greater of the Finance GAP or RTI amount, up to the purchase price of your car. RTI Cover reimburses any difference between the road risk insurance settlement and original vehicle price. Combined GAP and RTI insurance could pay out the greater of either the RTI or GAP pay-out, protecting you whatever your circumstance. Any total loss as a result of an accident, where the driver of the vehicle is under the influence of Alcohol or Drugs , not prescribed by a medical practitioner , or if described by a medical practitioner, where a warning against driving has been given. Where the premium has not been fully paid, the settlement, will be reduced by the outstanding instalments due. Any total loss if the vehicle is stolen, by a person who has access to the keys of the vehicle unless taken by force or violence. A full list of "What’s not Covered "and "Conditions and Limitations" are available on request. Combined Guaranteed Asset Protection is an OPTIONAL facility available from this dealership. Our sales consultants will be happy to answer your questions or clarify the policy benefits and exclusions. You should be aware that similar products may be available elsewhere to purchase directly. However, as with any insurance policy, you should confirm that the cover levels of alternative facilities are suitable for your needs. The quickest and most effective way to register your claim is by using our simple and straightforward claims app. Or you can claim online here on any device within 90 days of the total loss.